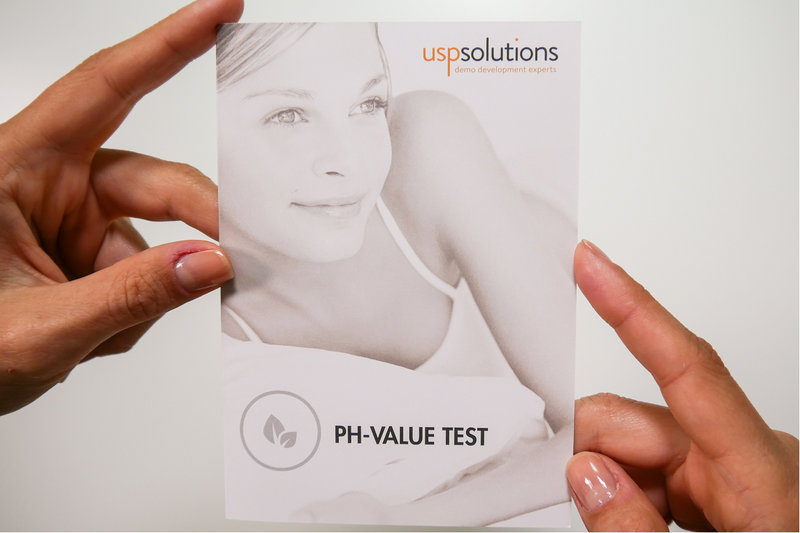 USP Solutions’ pH-value Test is a reliable and easy-to-use test which appeals to your consumer’s senses – enabling them to touch and feel your brand, thus emotionally engaging them. 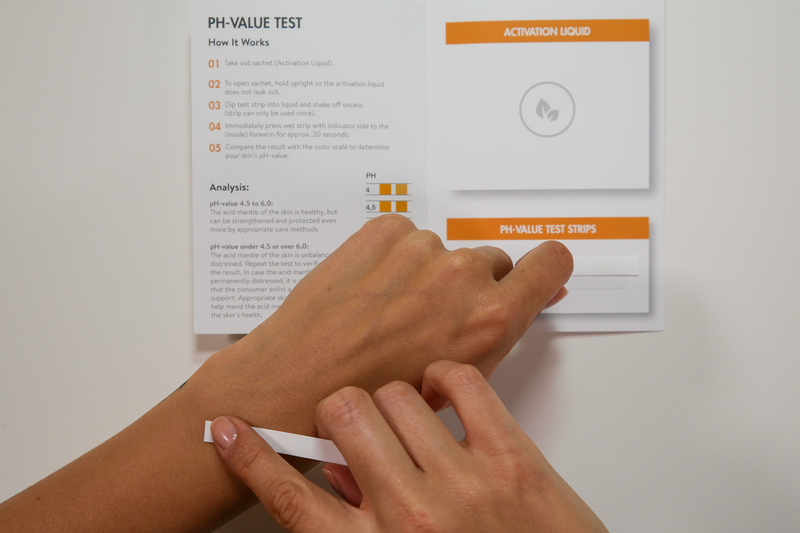 The pH-value Test is matched to the beauty industry’s needs and in a matter of seconds the test allows consumers to understand their skin’s balance. This knowledge about his/her skin balance, combined with product information, guides consumers to purchase their appropriate body care selections from your brand! When consumers learn about their body care needs, they experience an “A-ha” moment. This emotional experience is also referred to as the “Beauty Moment of Truth”. 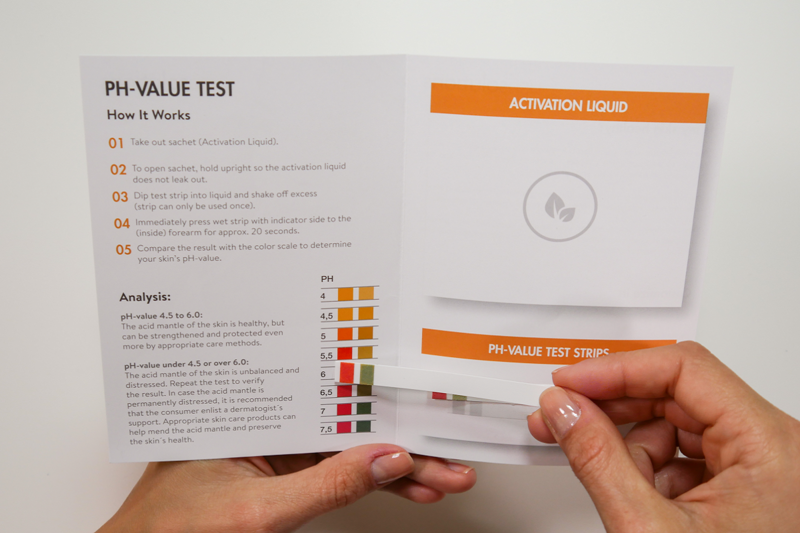 The pH-value Test therefore creates an engaging consumer experience which guides them to the right product choice which is essential when it comes to brand trust and brand loyalty. Many body care brands offer pH neutral products for sensitive skin, however many consumers are unsure about their body and skin care needs and do not know about the importance of their skin’s pH-value. Most of the time consumers feel overwhelmed by the great variety of body care products available. Uncertain about their skin and body care needs they find it difficult to choose “the one”. How do they know if the product holds what it promises? What is the pH-value of my skin? 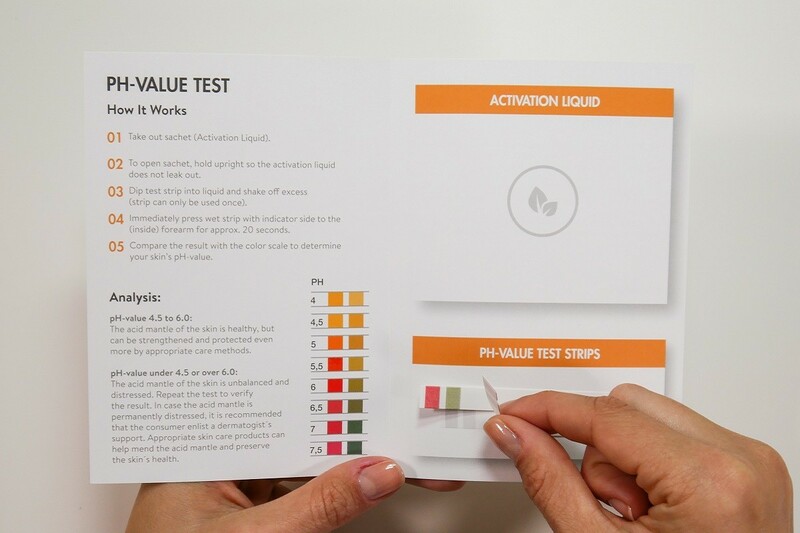 Why should I choose pH-value neutral product? 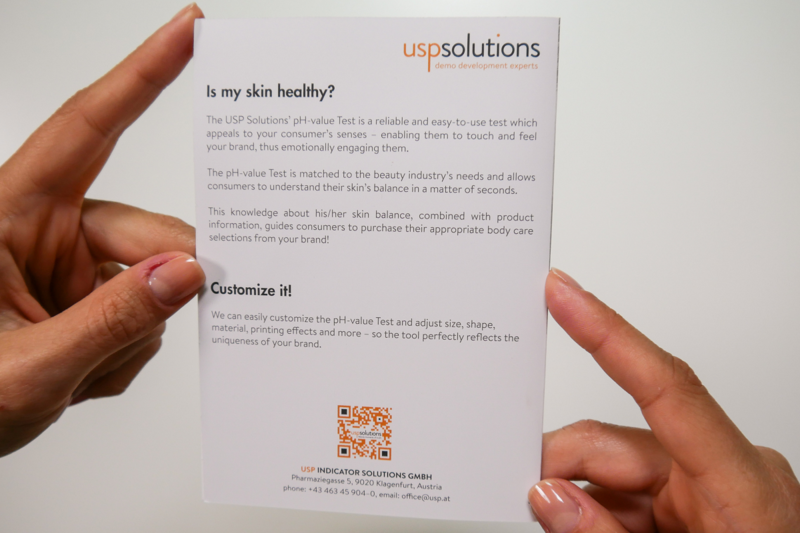 The USP Solutions pH-value Test enables your cosmetics brand to design an emotionally engaging and tailor-made “Beauty Moment of Truth”. 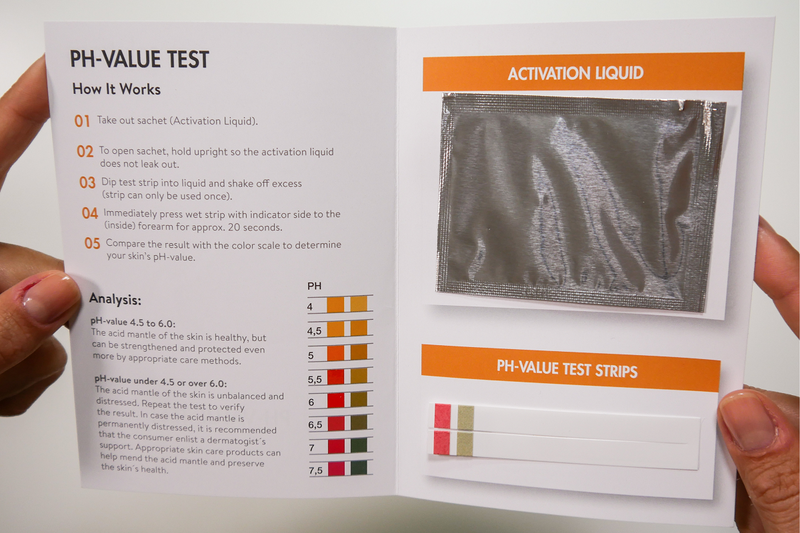 Open pH-value leaflet. Take out sachet. To open sachet hold opening upwards so activation liquid does not leak out. Dip test strip into liquid and shake off excess (strip can only be used once). Immediately press wet strip with indicator side to (inside) forearm for approx. 20 seconds. 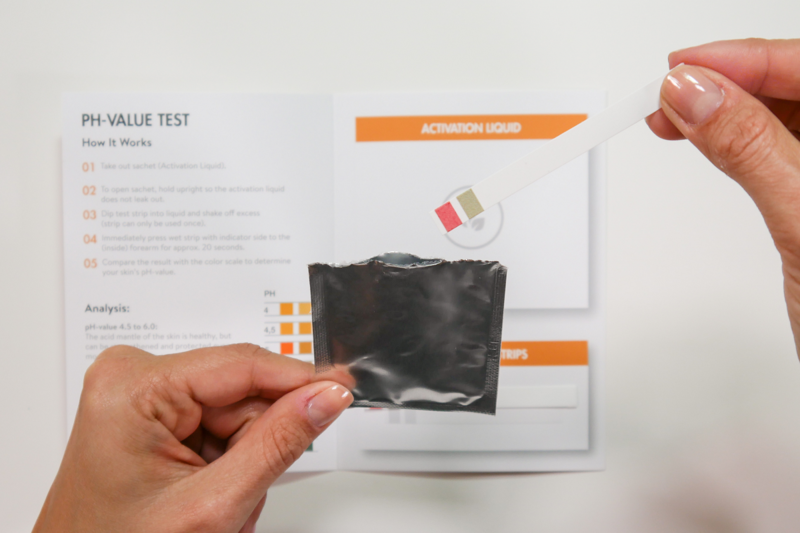 Compare result with color scale to determine your skin’s pH-value. 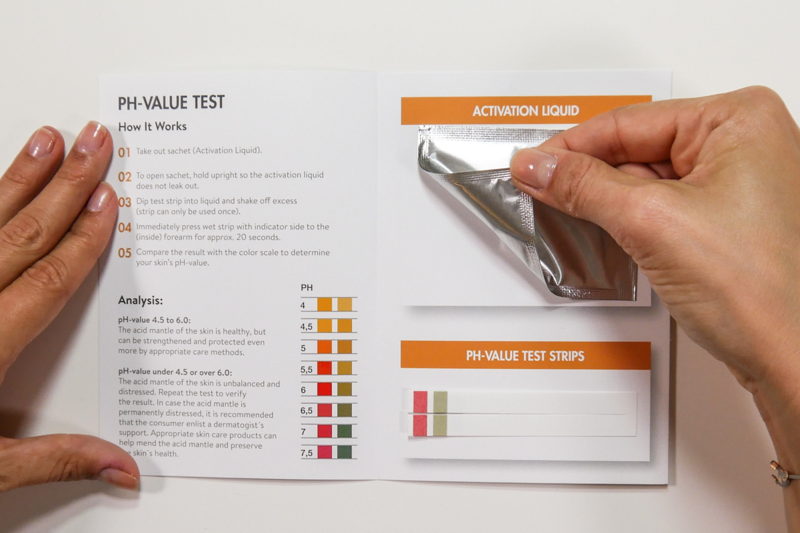 We can easily customize the PH-Value Test and adjust size, shape, material, printing effects and more – so the tool perfectly reflects the uniqueness of your brand.